A ropey foreign accent has been the downfall of many a fine actor, and so it proves with Ray Winstone as he tries to tackle the speech of the Boer in this forgettable period yarn. 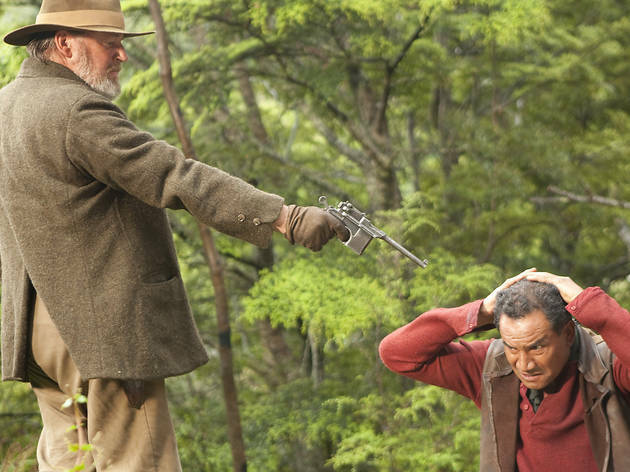 He is Arjan Van Diemen, an Afrikaans farmer turned hunter who travels, inexplicably, to New Zealand, where he must chase down a Maori sailor (Temuera Morrison) wrongly accused of murder. 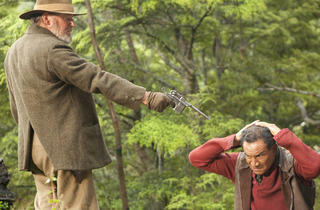 So these two ageing warriors pursue one another and bonds of outsiderhood inevitably form. What should have been the highlight of the film – the gruff repartee between two mighty thesps – is undercut by the fact that Morrison’s character is built on noble savage clichés, while Winstone sounds like Eugene Terreblanche doing a Michael Caine impression. As always with New Zealand, the landscapes are terrific. Shame about the film.